It's no surprise that seagulls like to eat -- and fast. But here's a look at seagulls eating in slow motion -- a sight that is much more graceful than you'd think. 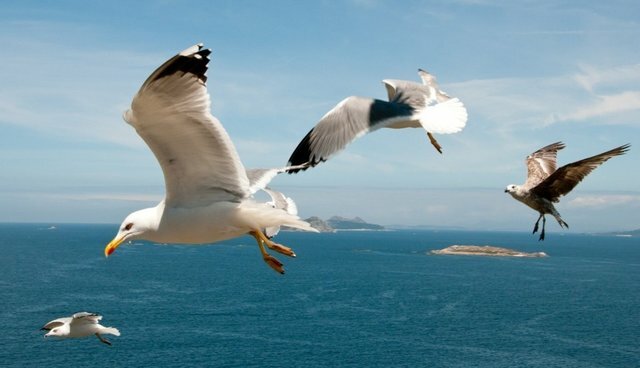 Seagulls are adaptive feeders, meaning that they seek a wide range of prey including fish, invertebrates, reptiles, rodents, fruit, birds and, of course, picnic sandwiches. The ability to digest these different food sources has contributed to gulls' reproductive success, along with being particularly resourceful and intelligent.